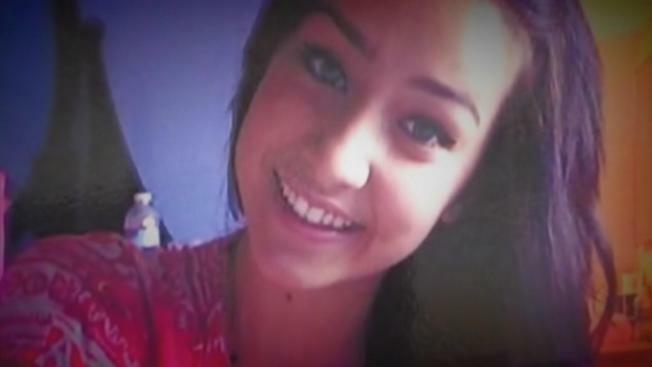 Closing arguments are scheduled for Tuesday morning in the trial of Antolin Garcia-Torres, the 26-year-old man who Santa Clara County prosecutors allege murdered 15-year-old Sierra LaMar in 2012. Bob Redell reports. Closing arguments are scheduled for Tuesday morning in the trial of Antolin Garcia-Torres, the 26-year-old man who Santa Clara County prosecutors allege murdered 15-year-old Sierra LaMar in 2012. The trial is wrapping up after almost three months of witness testimony, including discussion of the physical evidence key to the no-body case, including DNA found in Garcia-Torres' car and on her clothes, which were recovered in a field near her house outside Morgan Hill. If convicted, the jury could impose the death penalty on Garcia-Torres, who has two children and has been in custody since May 21, 2012. Garcia-Torres, who has not spoken throughout the trial, confirmed with Santa Clara County Superior Court Judge Vanessa Zecher on Monday morning that he would not be testifying. "Nothing has changed," Garcia-Torres said in court. Prosecutor David Boyd and defense attorney Al Lopez both called Santa Clara County sheriff's Detective Doug Kubik, a digital evidence forensic examiner who investigated Sierra's disappearance, as the final witness in the case Monday morning. In the days after Sierra disappeared, Kubik logged into Sierra's Gmail and Yahoo email accounts and social media profiles and investigated her final actions on her MacBook, including browsing on Tumblr and Twitter and snapping selfies in Photo Booth, on March 16, 2012. Kubik found digital evidence that Sierra tweeted for the last time at 6:29 a.m., logged into Tumblr on her MacBook at 6:45 a.m. and last used her computer to take selfies at 7:12 a.m. She missed her school bus that morning and did not show up for school that day. Lopez questioned Kubik about digital traces indicating that Sierra had deleted emails from her Gmail and Yahoo accounts. But in response to the implied suggestion that the deleted emails had something to do with her disappearance, Boyd pointed out that a "prolific Twitterer" like Sierra would have been flooded with social media notifications, which people typically delete. To make a point, Boyd asked Kubik whether he had ever deleted an email from his own account. On Jan. 30, prosecutors showed the jury surveillance footage of Garcia-Torres' distinctive 1998 red Volkswagen Jetta leaving the Maple Leaf RV Park where he lived 8 miles south of Sierra's bus stop at 7 a.m. the day she went missing. Garcia-Torres has previously testified that he left to visit a Bank of America branch and then buy gas at the Valero station 3 miles north of his RV park on Monterey Road. Kubik was unable to retrieve security footage from that gas station or from the Coyote Valley Resort and RV Park on Monterey Road about 1 mile north of Sierra's house because, he said in court Monday, both businesses' security cameras record over their footage every 10 days or so. Boyd asked Kubik if he knew why the gas station footage would have been "remotely, possibly important to this investigation," to which the detective said he didn't know. But the street-facing footage that Kubik did see from the Coyote Valley Resort and RV Park appeared that it would have been unusable even if he had extracted it in time, he said. The quality of the footage was too poor to identify motorists on Monterey Road, Kubik said, though cars may have been identifiable in the daylight. Kubik confirmed with Boyd that he was not aware of whether the camera had even been functioning on March 16, 2012. Jurors received instruction on the next phase of the trial Monday afternoon. Closing arguments are scheduled for 9 a.m. Tuesday.